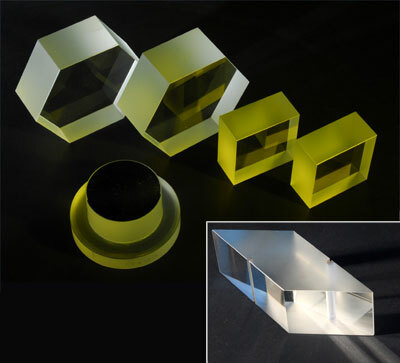 In order to offer a complete service to our customers, Optical Surfaces produce a range of OEM components all designed to meet customers’ individual requirements. Optical Surfaces welcome your enquiries; we can draw on 50 years of experience and craftsmanship in order to meet your applications and to fully conform to or exceed your specifications. Optical Surfaces Ltd. has delivered to the Niels Bohr Institute, a pair of ultra high precison counter-rotating doublet prisms for the Atmospheric Dispersion Corrector (ADC) – a key element for the instruments deployed by the SONG project. The SONG project, is a collaboration between scientists at the Department of Physics and Astronomy, University of Aarhus, and the Niels Bohr Institute, University of Copenhagen. 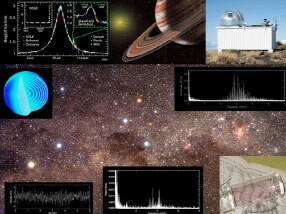 SONG stands for Stellar Observations Network Group and the purpose of the project is to design an observatory that consists of a network of telescopes distributed around the planet. The design of the SONG telescope will target two scientific purposes: it must measure stellar oscillations that can probe the internal structure of stars, and be able to find Earth-like planets in our Milky Way. Reflecting on their choice of supplier, Per Kjærgaard, SONG project Manager, commented: ‘Optical Surfaces Ltd was selected to produce the critical ADC prism doublet because of their impressive track record in preparing high performance optical systems for telescope and space projects’. Optical Surfaces supplied two prisms with an entrance face of 250mm for the FEROS spectrograph, installed in the European Southern Observatory in Chile. The prism was the critical component for the project. Despite the concerns regarding the feasibility for such a large prism in achieving the wavefront required, both manufactured prisms were fully compliant to the requested specifications. After the prisms faces were fully polished, the results were analyzed and it was discovered that further local figuring was required in order to correct for glass internal irregularities. After completion, the wavefront had fully met the customer specification. A spokesperson for the organsation said that the transmitted wavefront had even exceeded their specification and congratulated Optical Surfaces on doing such an “excellent job”.